There has been a lot of discussion on the internet about Blogrush this week – it seems you either love it or hate it with a passion! Many have lambasted the perceived (or actual) weaknesses in the Blogrush set-up. My initial post highlighted how many people were seeing very low click through rates. Darren Rowse, also known as ProBlogger, posted a message on free Christian resources adding that some were also seeing a 1% click though and that realistically it would be too soon to judge the validity of Blogrush. 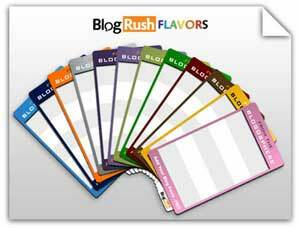 All new blogs will be manually checked to ensure they are valid (i.e. not spam), and this will be retrospectively done for all of the current registered blogs. So if you read my last Blogrush post, “Will Blogrush help or hinder your Christian website?” but felt it was not worth the effort, it may be worth getting on the bandwagon now and trying it out for yourself. All of these changes show that Blogrush are trying to ensure the system is fair for small blogs,that there is an integrity to the blogs included, and that the post titles are more specific. I think the last two points in particular are important for Christian bloggers keen to ensure their blog is not diluted with inappropriate post titles. None of this in itself means Blogrush will work, but it seems to me it is at least in very safe hands.